Swedish actor Alexandra Rapaport tells DQ about starring in long-running crime drama Morden i Sandhamn and how she is enjoying being on both sides of the camera on returning thriller Gåsmamman. Starring in three of Sweden’s biggest dramas, it’s no wonder Alexandra Rapaport has a schedule that befits one of Sweden’s most acclaimed actors. She made her name in dramas such as Kronprinsessan (The Crown Princess) and Drottningoffret (Those In Power), and appeared in European crime drama The Team alongside Lars Mikkelsen. But more recently she has been headlining crime series Morden i Sandhamn (The Sandhamn Murders), Modus and Gåsmamman. The latter, which first aired on Discovery Networks Sweden’s flagship Kanal 5 in spring 2016, sees Rapaport play mother-of-three Sonja, who is drawn into the criminal underworld when she is forced to pay her murdered husband’s debt. 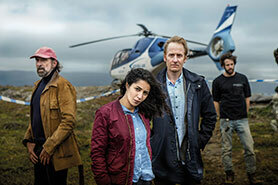 In the forthcoming second season, which debuts on February 2, Sonja and her family have secretly returned to Sweden after being on the run. 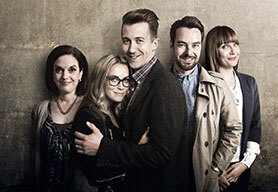 The 10-episode run also stars Tommy Körberg, Anja Lundqvist, Ivan Mathias Peterson, Grynet Molvig, Lisette Pagler, Shebly Niavarani and Ulf Friberg, plus new cast members Allan Svensson and Morgan Alling. Set in Stockholm, it is directed by Richard Holm and produced by Birgitta Wännström for Endemol Sweden in coproduction with Discovery Networks Sweden and SVoD platform CMore. The writers are Camilla Ahlgren and Martin Asphaug. The story is based on Dutch drama Penoza, which aired on NPO3 in the Netherlands for four seasons, and Rapaport immediately fell in love with the crime thriller after Wännström approached her with the idea of adapting it. “It’s my baby,” says the actor. “The producer contacted me with this idea and we pitched it to Kanal 5 and got it. We found the best director and we started doing it. “It’s a great show because it’s such a strong and powerful story. Everything happens really fast and it has a big drive forward every season. It’s a really good story. Viewers were just as entranced by Gåsmamman as Rapaport, with the first episode breaking Kanal 5 records. Some 725,000 people tuned in, making it the highest-rated Swedish drama since Vänner & Fiender, which drew around 427,000 people in 1998. But Rapport’s love of the show runs especially deep, as she is also an executive producer on the series. 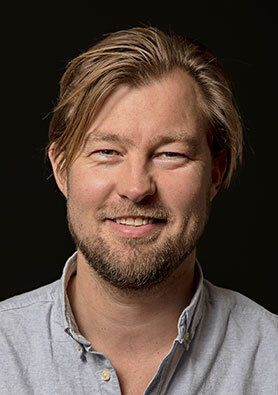 Last year was a busy one for the actor, filming season two of Gåsmamman at the same time as production began on four new films in the long-running Morden i Sandhamn series. 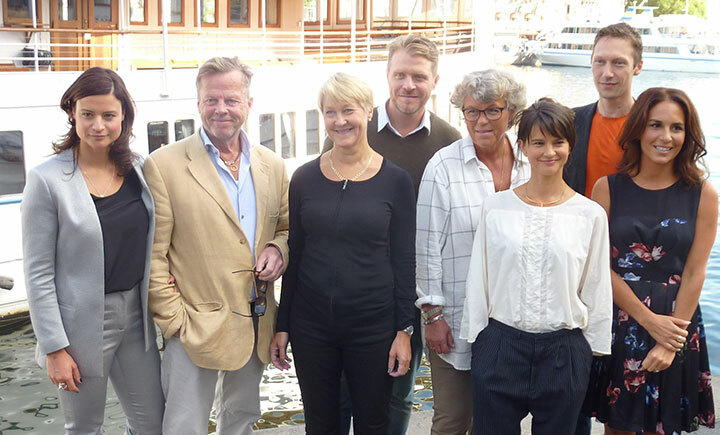 The detective drama, based on Viveca Sten’s series of novels of the same name, sees Rapaport play Nora Linde, a summer guest on the Stockholm archipelago of Sandhamn who partners with Detective Thomas Andreasson (Jakob Cedergren) to solve a number of grisly murders. 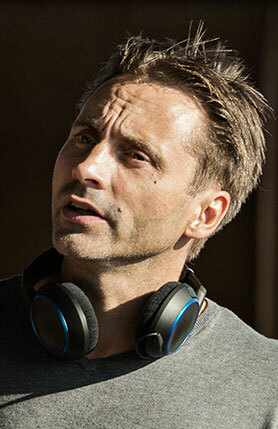 Filming is taking place in two blocks – first between August and October 2016 and then from May to June this year – and the new films will premiere first on CMore and then on TV4 in spring 2018. The first two films are based on Sten’s novels I Maktens Skugga (In the Shadow of Power) and I Sanningens Namn (In the Name of Truth). The series is produced by Filmlance International, together with TV4, German broadcaster ZDF and distributor ZDF Enterprises. “It’s really popular – people love it!” Rapaport enthuses. 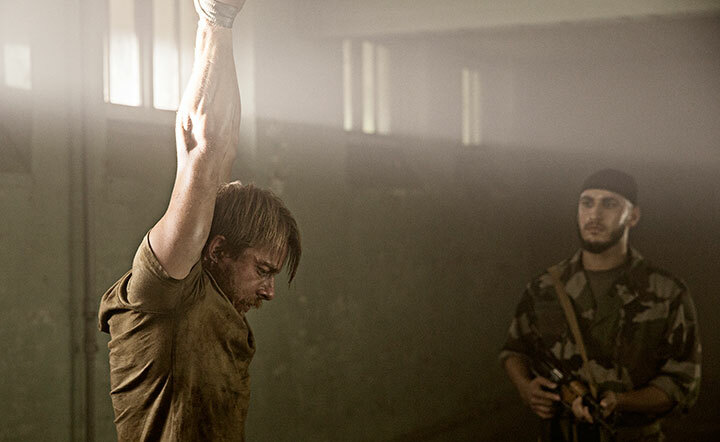 “In Denmark, Germany and Finland, it’s one of the biggest Nordic TV series. It’s crazy. 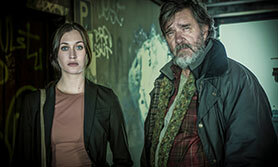 Nordic Noir is now Scandi Blue Sky – it’s not raining! Morden i Sandham first aired in 2010, with the first five stories being split into three parts. Now the four latest instalments will play out as 90-minute films. Rapaport jokes that she is nothing like the character she portrays in the books: “In the book she’s tall and blonde. I look exactly the opposite! People don’t mix us up. I’m doing my Nora and the book is a bit different and I just try to capture her personality. She is nosy but she’s a very nice, sensitive person. She’s nosy in a good way. My character in Gåsmamman is quite the opposite. Teasing the new season, the actor says Nora’s will-they-won’t-they relationship with Thomas will deepen in the new run of films. Having established herself as one of Sweden’s leading actors and with a third season of Gåsmamman in the works, Rapaport’s future is as bright as the Sandhamn sunshine. 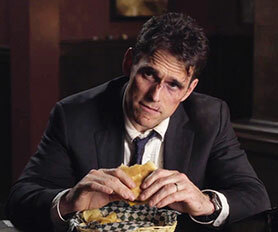 This summer, critics couldn’t decide whether M Night Shyamalan and Chad Hodge’s 10-part mystery-thriller Wayward Pines qualified as a hit. But the show’s host network Fox has now answered that question by giving the production a second season. According to Fox, the second season will pick up in the wake of season one, when a new arrival in Wayward Pines finds himself in the middle of a serious rebellion, as the residents battle over how to preserve the endangered human race. Season one stars Matt Dillon and Toby Jones will not return, so there will be a lot of interest in who gets cast as the new lead. 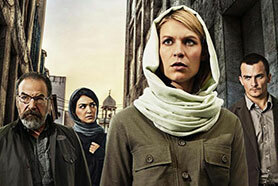 This week has also seen renewals for Showtime’s Homeland and The Affair. 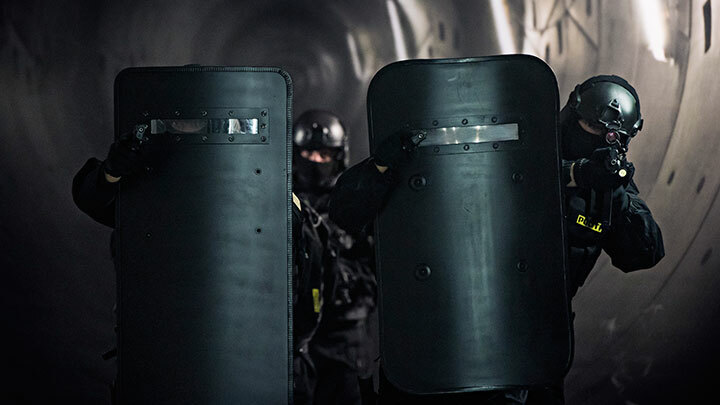 This confirms our hunch that Homeland had done enough in season five to warrant a renewal, though the announcement has come later than expected. Season five is finishing strongly, which appears to vindicate the decision to move central character Carrie (played by Claire Danes) to Berlin. Co-creator Alex Gansa has suggested that this could be the model going forward, with each season placing Carrie in a new geographic location. 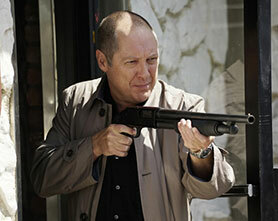 There was also a renewal this week for NBC’s The Blacklist, which stars James Spader as a criminal mastermind working with the FBI. The drama, which will go into season four, averages a same-day of audience of around seven million. It’s also popular internationally, featuring on networks such as Sky Living and TF1 in France. Back at Fox, one show that is certain to get a renewal is breakout hit Empire, which is now in the middle of its second run. However, the new season has been bumpy ride, akin to the ‘difficult second album’ syndrome. After opening to 16 million viewers (22.5 million when you add in the multiplatform/time-shifted figures), the music industry-based show dropped as low as 9.2 million (same-day rating) for episode nine. Episode 10 saw a bounceback (11.8 million) but the underlying critical narrative suggests the show has lost its way slightly. 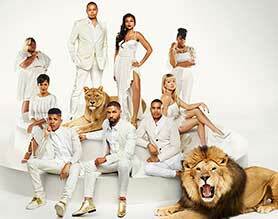 Having said all this, Empire is still the strongest US network show by far. To put it in perspective, its rating among the all-important 18-49 demo far exceeds that of new shows such as Blindspot, Limitless and Quantico. So a renewal is as certain as anything can be in this life. A likely beneficiary of its success is Rosewood, which airs straight after Empire. Having seen its ratings boosted as a result of Empire’s strong lead-in, it’s another show that is pretty much guaranteed a return. Continuing on this topic, this week provided a superb example of the impact that a strong lead-in can have on a title’s ratings. Until recently, AMC’s Into the Badlands had been benefiting from airing directly after The Walking Dead. But with the latter now on a winter break, Badlands has seen its audience plummet. Same-day ratings for the first four episodes of the show go like this: 6.4 million, 4.8 million, 5.2 million, 2.4 million – the latter figure being the first week in which it didn’t have a boost from The Walking Dead. This isn’t necessarily a problem for Badlands. It’s possible that, without TWD in the schedule, fans of the futuristic martial arts show have decided to record it and watch it another time (maybe earlier the next day). The real test of whether the show has managed to build a loyal audience will come with Live + 3 Day or Live + 7 Day ratings. That said, even at its new lower level, it’s still a strong shout for a renewal. Moving away from renewals, this week saw the launch of a show that may soon be talked about as the latest Scandinavian hit. Gasmamman: Scandinavia’s next big hit? Gasmamman (Mother Goose) is being described as Sweden’s answer to Breaking Bad. The story follows a mother-of-three who takes over the family’s illegal marijuana business after her husband is shot in a drug deal gone wrong. The Endemol Shine-produced show is currently airing on pay TV platform C-More and will shift to Kanal 5 in spring 2016. The Reuters report says the show’s producers plan to make four seasons in total.